We understand that in addition to recovering full compensation for your injuries and losses, you need the truth in order to have closure. We will get the truth! We will stop the insurance company games and uncover the truth for you and your family. If your child or family member suffered a serious medical injury while in the hospital, chances are you have spoken with your doctor or hospital about what happened. Almost assuredly, the medical providers told you there was nothing further they could have done, that it was just a bad result. While it is true, sometimes bad results do happen, often times a bad result can be tied to a breach from a recognized “standard of care.” The standard of care in any given situation is important because when a medical provider deviates from the accepted standard of care, or what is expected of them in a given situation, then serious, life-long injuries can result. Trying to get at the truth of what really happened, what resulted in a Birth Injury can be daunting task. Needless to say, your doctor or hospital are not going to be forthcoming and admit a mistake which resulted in a serious injury. This is where our law firm excels. 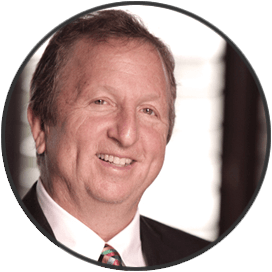 We get at the truth by closely comparing all the medical records, diagnostic tests, witness accounts and what they claim happened against the backdrop of our decades of medical malpractice experience. Our success and multiple record verdicts are a direct reflection of our tireless work ethic and desire to question everything until we uncover the truth for you. 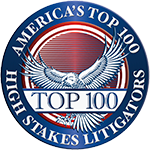 The seasoned trial lawyers at Wais Vogelstein Forman and Offutt have an extensive and proven track record for obtaining full compensation for our clients. We have the resources, experience and knowledge to overcome hospital and insurance company tactics in order to recover full justice. Visit our Verdicts and Settlements page and see what our record setting, malpractice litigation team has successfully recovered on behalf of malpractice victims and their families. Our malpractice litigation team has over 100 years of collective experience handling medical malpractice cases throughout Maryland, D.C., Minnesota and a variety of other states. * Our litigation team has obtained a number of record setting verdicts, including the largest malpractice verdict in Maryland’s history against Johns Hopkins Hospital ($55M). Since 2012, the attorneys at WVFU have obtained well in excess of $500,000,000.00 in verdicts and settlements. Medical malpractice litigation is extremely challenging because it involves litigating against wealthy insurance companies, medical providers and hospitals that do everything in their corporate power to deny claims and run from their basic responsibility owed to injured victims. At Wais Vogelstein Forman and Offutt we work tirelessly to fight corporate America in order to protect you and bring a better life to your family. We know what is at stake, and we will be at your side every step of the way, providing support, explaining the process and fighting tirelessly to win. There is no fee or cost to you until we successfully recover for you. We handle all forms of Medical Malpractice and we focus special attention on serious Birth Injury cases. We understand raising a child with a Cerebral Palsy or other serious birth related injury is extremely challenging. It is emotionally and financially draining and will change your life. We have seen it first hand with hundreds of our clients throughout the years. Often times the parents of an injured child do not realize the full extent of financial expense that will be involved in taking care of a child for life. 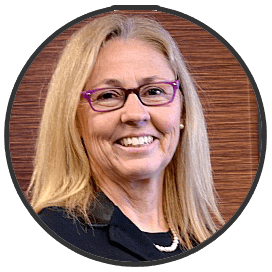 When our expert life care planners fully document the ongoing financial needs of a child it clearly demonstrates the deep responsibility we have to our clients and the crucial justice we fight for every day. When a child is needlessly injured at birth it is heartbreaking; you need answers and you need action. In a word, justice! 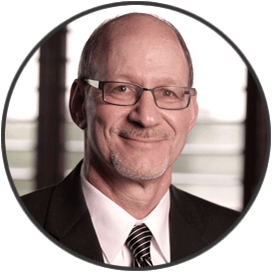 You need a highly skilled team of lawyers who routinely handle birth injury malpractice cases successfully. You need tough lawyers who know the medicine, the law, and importantly have the financial resources and the medical experts to not back down to doctors, hospitals and corporate America insurance companies who will stop at nothing to avoid responsibility and maximize profits for their stock holders. We are your medical malpractice team, call or click today for an immediate and free evaluation of your situation. Let’s see what we can do to help! If your child or family member suffered a serious medical injury while in the hospital, chances are you have spoken with your doctor or hospital about what happened. Almost assuredly, the medical providers told you there was nothing further they could have done, that it was just a bad result. While it is true, sometimes bad results do happen, often times a bad result can be tied to a breach from a recognized “standard of care.” The standard of care in any given situation is important because when a medical provider deviates from the accepted standard of care, or what is expected of them in a given situation, then serious, life-long injuries can result. Trying to get at the truth of what really happened, what resulted in a Birth Injury can be daunting task. 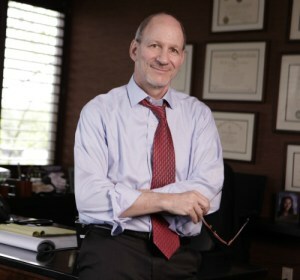 Stephen is one of the Nation’s preeminent and seasoned Medical Malpractice trial lawyers. 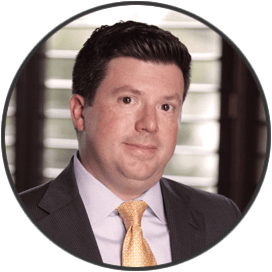 With an extensive record of multi-million dollar verdicts, in 2014 the National Trial Lawyers Association named him one of the Best Trial Lawyers in America following a birth injury verdict for $33.4M. Stephen fights aggressively for seriously injured children nation wide.